How do I import my recipes from the RecipeManager? Select the recipe or recipes that you wish to export and then from the 'File' menu, move down to the 'Export Recipe' option. This will then provide you with three choices. Select 'To Plain Text File...'. You will then be presented with the 'Save Recipe as Plain Text' window. This allows you to navigate to where you wish to export the recipe. When you have selected your desired location, click on the 'Save' button, and this will then export the selected recipe. 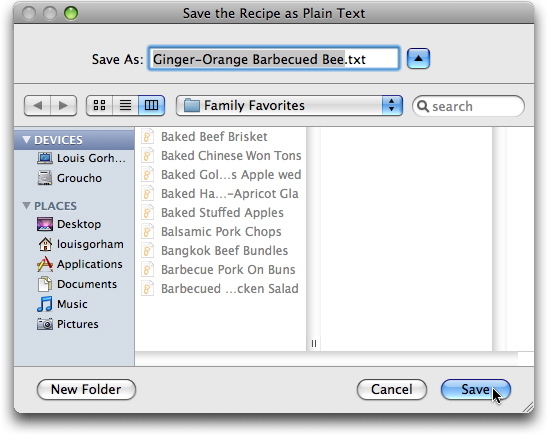 If you are exporting multiple recipes they will all be saved in the same text file. 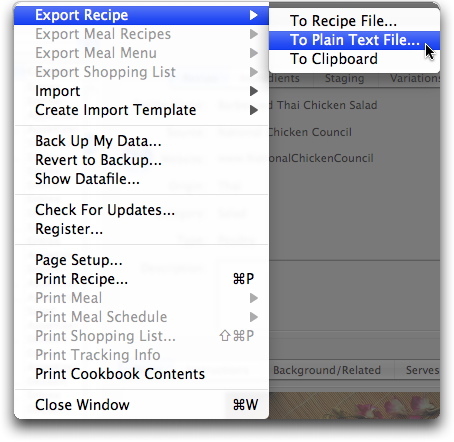 Then you can import them into MasterCook as explained here: Importing Text Files.